A new experimental film investigates the infamous story of a murdered Sydney woman through a collage of media. 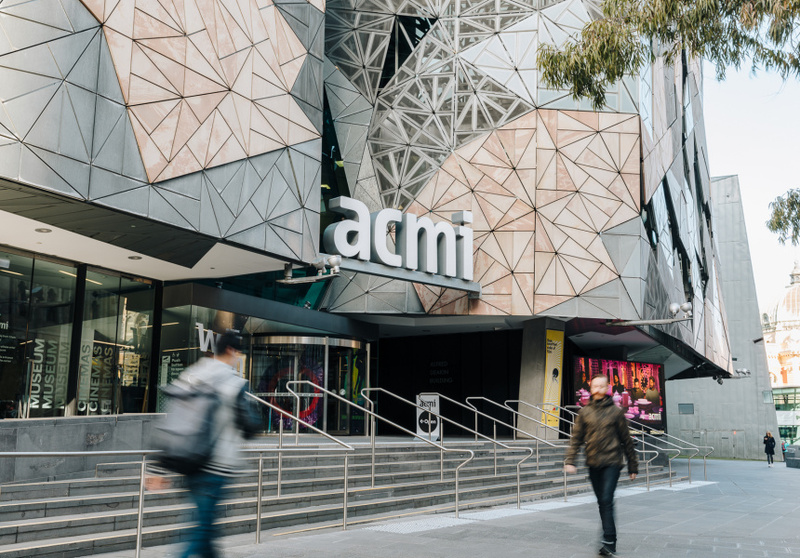 In partnership with ACMI, we find out how its unique narrative extends her life. This is how The Beehive builds. 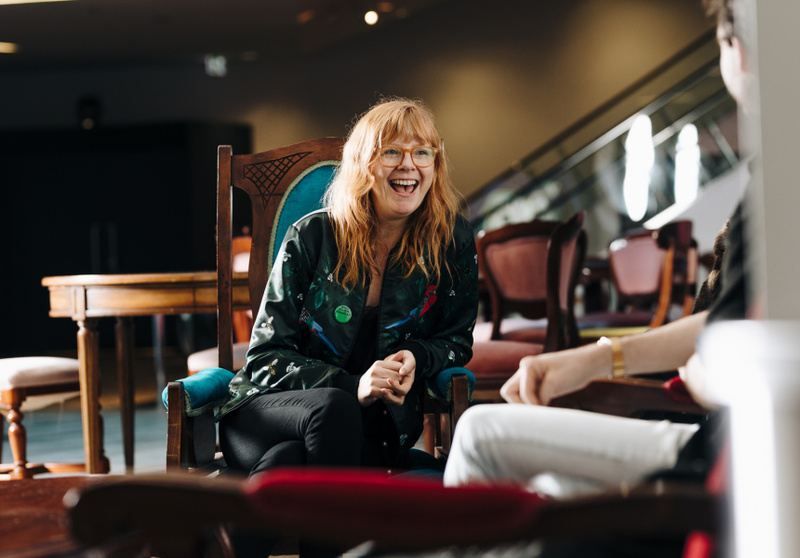 A new experimental video installation by director Zanny Begg, the film examines the work and disappearance of Sydney activist Juanita Nielsen in the mid-’70s. For Nielsen there was no grave. On July 4, 1975, the community leader and journalist met an underworld figure at the Carousel Club in Kings Cross under the proviso of discussing advertising. She was never seen or heard from again and her disappearance remains unsolved. The sordid circumstances have become embedded in Australian crime lore, reducing Nielsen from a human being to a body – from a woman to a titillating mystery. The Beehive reminds us Nielsen was so much more than all of that. The story is well-known in Sydney. Nielsen was a local icon, a publisher of the newspaper NOW, which ran articles opposing gentrification and development in her neighbourhood, infuriating developers and corrupt officials in the process. Her disappearance has all the elements of a noir mystery – a seedy underbelly, aggressive developers, political corruption, a disappeared woman – and has inspired several films. To reflect the many facets of Nielsen’s identity, Begg has cast twelve women in the role of Juanita. The film jumps back and forth between different Juanitas and plot points, literally at random: on each viewing, the film shuffles and re-orders. No two viewings are the same. Amongst monologues and reenactments of key moments of her disappearance, the twelve Juanitas are given a voice, finding commonalities with the role they’re playing. The technique recalls Casting JonBenet and Kate Plays Christine – in lieu of answers, the filmmaker embraces the fiction of the piece. Coupled with the random order it’s a remarkably effective conceit that reminds us any attempt to tell her story is necessarily incomplete. Despite the endless march of progress, Nielsen’s house survives at 202 Victoria Street, Potts Point, now in the shadow of a brick behemoth of an office block. The film’s Juanitas visit the house – one looks at the doorframes and balustrades and reflects on Juanita touching them. Another says it’s like she can feel her ghost. 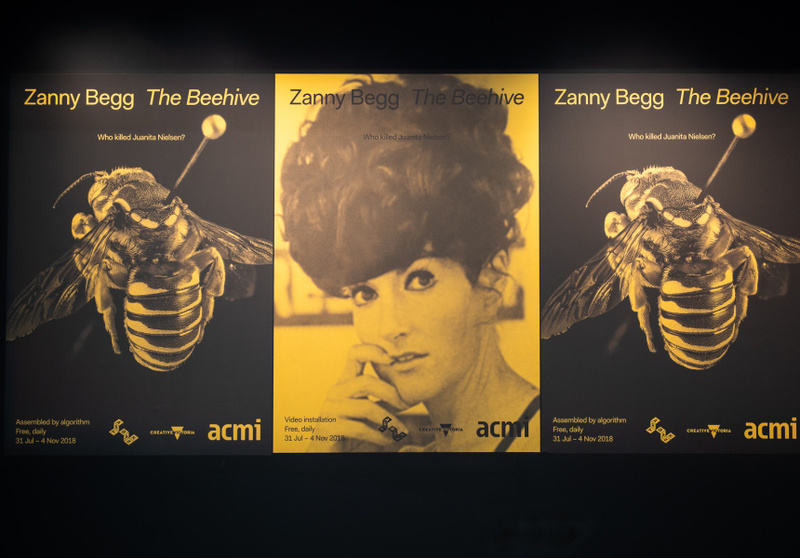 The Beehive is playing at ACMI until November 4. Check session times and details.